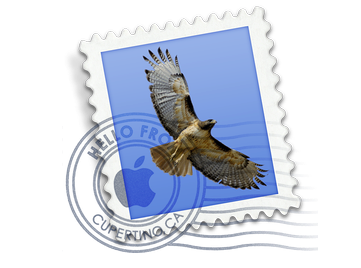 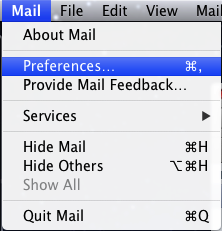 You will need to click on the "Mail" option on the menu bar, and then select "Preferences"
Down at the bottom of the window, you will see a "+" sign, to add an email account you click on the "+" sign. 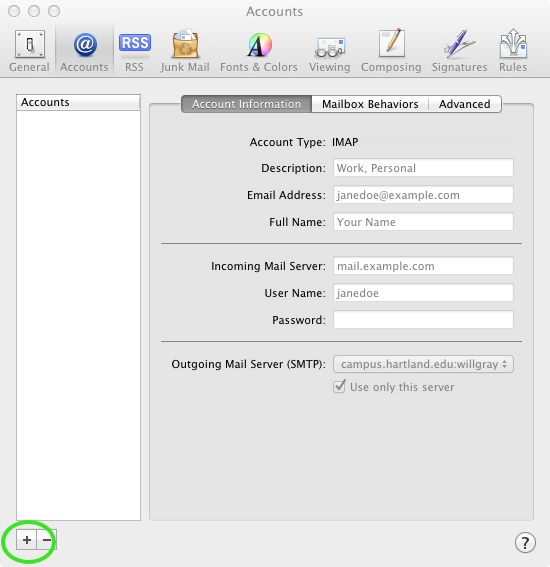 You will need to fill out all of the fields in this new window. 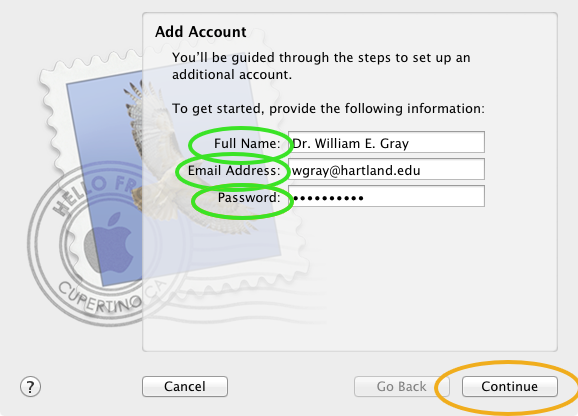 Once you have the information typed into the boxes correctly, Click "Continue"
You may or may not see the following window pop up. 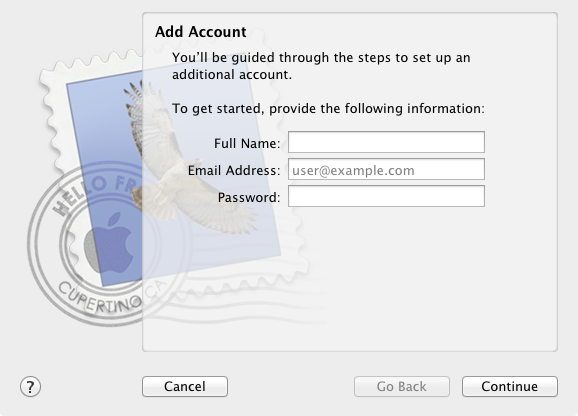 If you do, just click on "Connect" to continue setting up your email account. Do not worry about this error/warning as it is an IT Department internal error and will not have any effect on your email access. 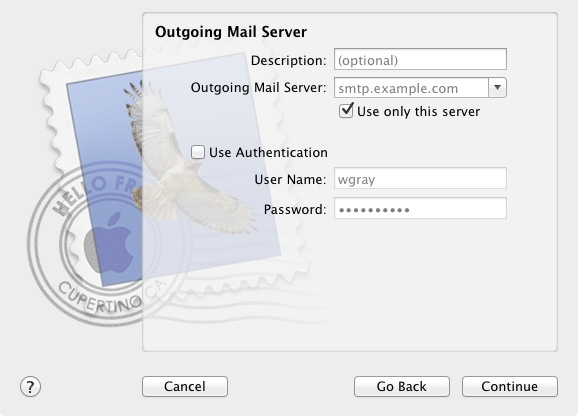 We will need to modify the information in this window as it is currently either not correct or not complete. 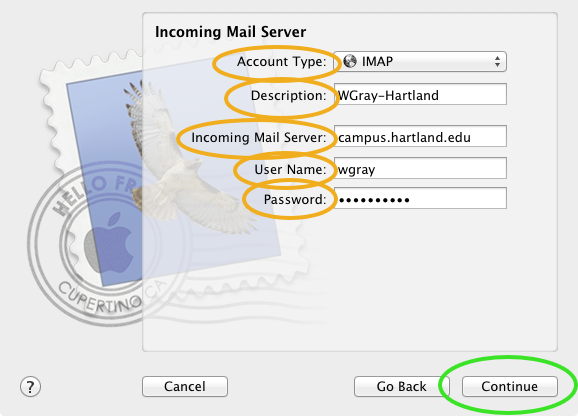 Click on the drop down box that currently says "POP" and select "IMAP"
In the Description box, put something that will tell you that you are looking at your "Hartland Institute" email account. 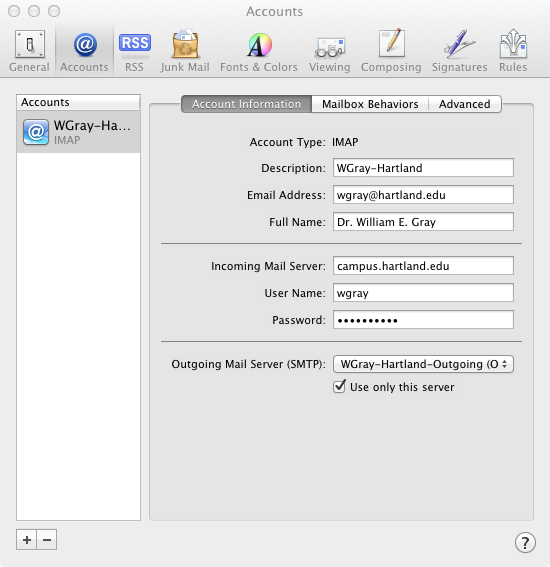 As an example — "WGray – Hartland"
User Name: This box should be already filled out… Just verify that your username is correct. 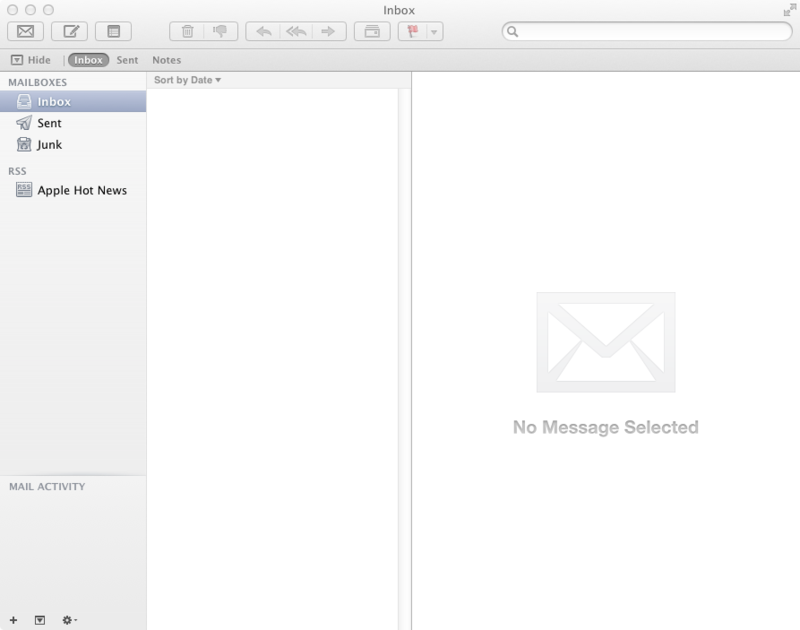 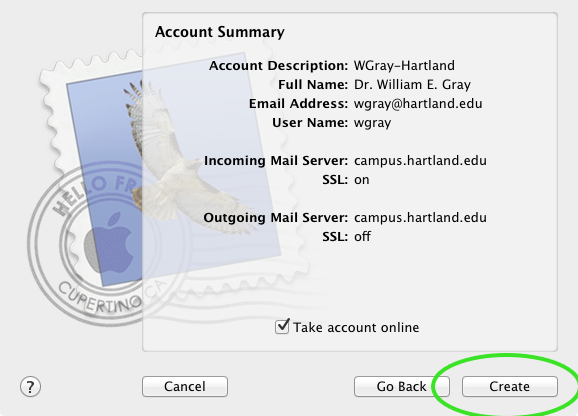 Description: put something that will tell you that you are looking at your "Hartland Institute" email account. 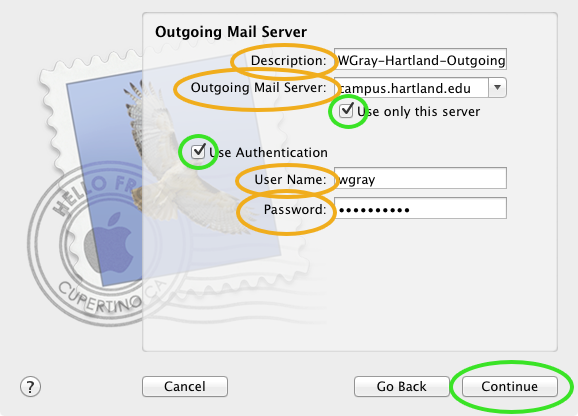 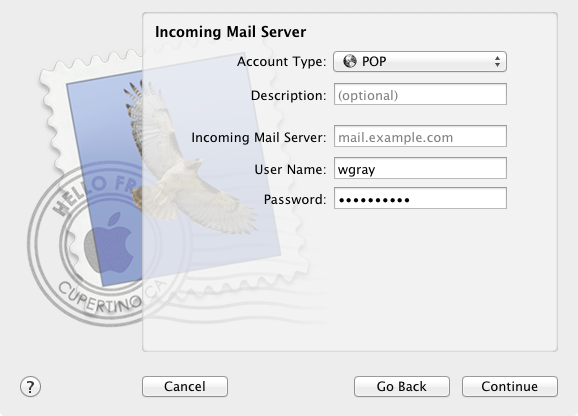 As an example — "WGray – Hartland-Outgoing"
Make sure that the box labeled "Use only this server" and the box labeled "Use Authentication" are both checked. 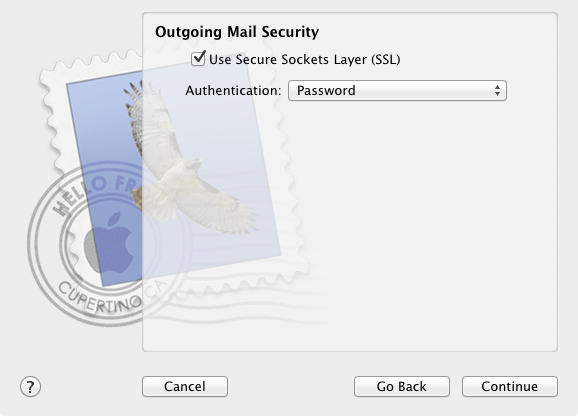 Click on the check-box labeled "Use Secure Socket Layer (SSL)" to turn on this option. 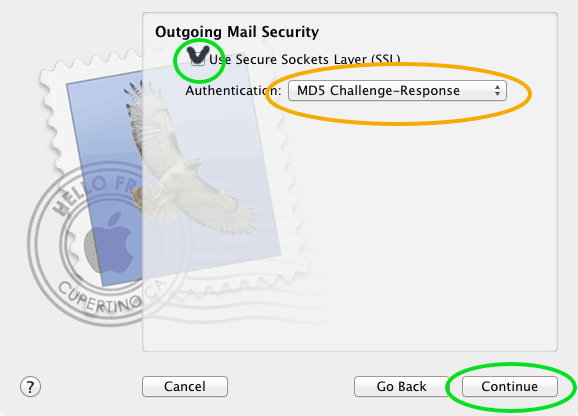 Click on the drop down box that says "Password" and select "MD5 Challenge-Repsonse"
All you need to do is click on "Continue"
You will now be back at the "Preferences" screen.